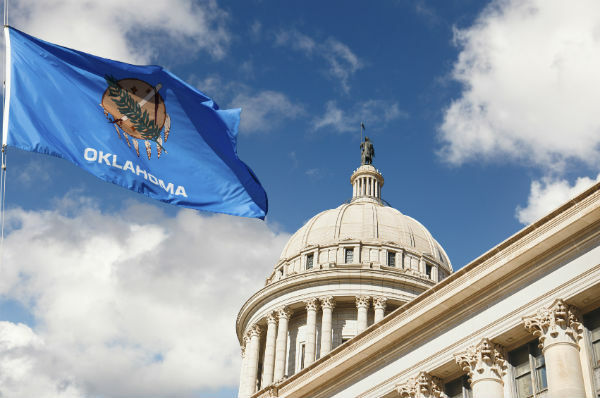 The Oklahoma Senate recently passed a bill that will deregulate portions of the school system. From Common Core to common sense, many educators across the country have echoed a common refrain in recent years: Get the federal government out of our classrooms. They finally got their wish with the passage of the Every Student Succeeds Act (ESSA). This newest reauthorization of the Elementary and Secondary Education Act replaces the controversial No Child Left Behind Act with one notable difference – a transfer of power back to the states. While much of the framework will remain the same, including annual standardized testing from third to eighth grade, oversight of school accountability will shift from the federal to the state level. We’re now beginning to see a glimpse of what ESSA means for some school districts across the country. In Oklahoma, the state Senate just passed a bill that will deregulate portions of the school system. The bill, which is also expected to pass in the House, will eliminate state requirements such as teacher certifications and minimum salary, as well as loosening restrictions on background checks. Supporters of the bill say it allows school districts to have more input in their requirements for hiring, especially during the desperate teacher shortage facing Oklahoma. But opponents are worried about what these lower standards could mean for students. "Passing a deregulation bill as a response to the teacher shortage may get more bodies in the front of classrooms, but it largely ignores the greater problems behind the teacher shortage," says Liam Goldrick, policy director at New Teacher Center, a nonprofit organization dedicated to improving student learning by guiding a new generation of educators. "Oklahoma pays its teachers less than most states, and putting less-qualified teachers in front of students only exacerbates inequity and undercuts the quality of our children’s education. Waiving requirements that schools employ certified teachers and regularly conduct criminal background checks is dangerous and frightening." Ohio is looking at similar legislation. The state Senate passed a bill last year that would allow high-performing schools to remove limits on class size, hire uncertified teachers and reduce the amount of testing. The bill is currently waiting to be sent to the House floor for voting. Ohio Senate President Keith Faber explained to the Columbus Dispatch that lawmakers must trust the school districts and their superintendents. "I understand the angst of saying we’re going to open it up willy-nilly to let the superintendent hire his brother to teach physics," Faber said. "The superintendent has got to be responsible. The school board that is elected needs to be responsible for that decision." It remains to be seen whether either bill will become law in the near future, and what would happen as a result. Nevertheless, support for ESSA remains strong. "ESSA maintains the federal government’s strong focus on equity: quality schools for all students and access to effective teachers," Goldrick said. "This legislation emphasizes factors critical to student learning — quality teaching and school climate." As one centralized federal system transitions to 50 state systems, there will certainly be differences in how each state approaches its education policies.